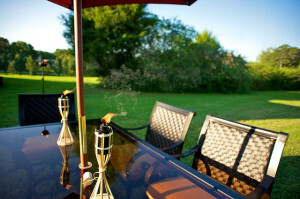 Memorial Day is just around the corner – the traditional outdoor cookout launch here in the Minneapolis area. So it’s important that you plan now to have the best summer barbecues that Minnesota has ever seen. Getting your yard in the best shape possible is always ideal before you go throwing those outdoor feasts and having people come over. Plan Everything Ahead – When you plan ahead, everything can go much smoother. Instead of frantically going through the motions at the last minute, do a little at a time as the date approaches. Make sure to clean up one area, add to another, and so on. Always Buy Fresh – When you buy fresh, you’re able to enjoy more. What’s better, plan on creating a garden where you can grow your own fresh produce. If you haven’t got one, we can help! Cold Drinks Need a Place – Remember, adding coolers or other chests full of ice around your yard can provide a place to keep those needed drinks cool and on hand. Always buy extra ice, and make sure to chill any beer and wine ahead of time. If you’ve got an outdoor kitchen, this might be the year you could consider adding an outdoor fridge, too. Have Some Games – If there are going to be children present, then you need to make sure that you have plenty to keep them occupied. Whether it is with yard games or smaller items such as bubbles, having these on hand is beneficial. And don’t forget about the adults – adding an outdoor bowling or bocce ball court to your yard could give you another option for fun. Keep Those Bugs Away – Keeping the bugs away can keep everyone happy. Consider using natural ways to rid the area of bugs. Citronella candles can be ideal insect repellents. How about these plants that naturally keep bugs away? Grills and Smokers – Clean the grill and smoker that you’re going to be using ahead of time. Make sure you have enough charcoal or propane to get it running. You want to ensure that you’re completely prepared and what you cook on makes a difference. Architectural Landscape Design can get you on your way to getting the most from the outdoor space that you have and the barbecue events that you would like to have this summer. We can design and install the perfect outdoor kitchen for you to entertain your guests for years to come, while minimizing the maintenance that you would normally have to do. Ready to get started for this upcoming barbecue season? Contact us today to learn more!